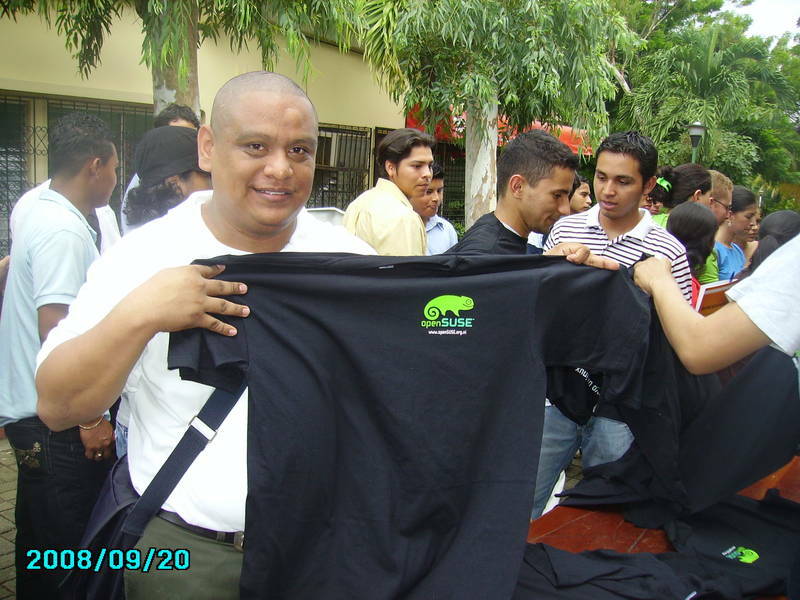 The folks of the openSUSE Community in Nicaragua, are preparing a great event in the city of Granada, Nicaragua, in Central America. 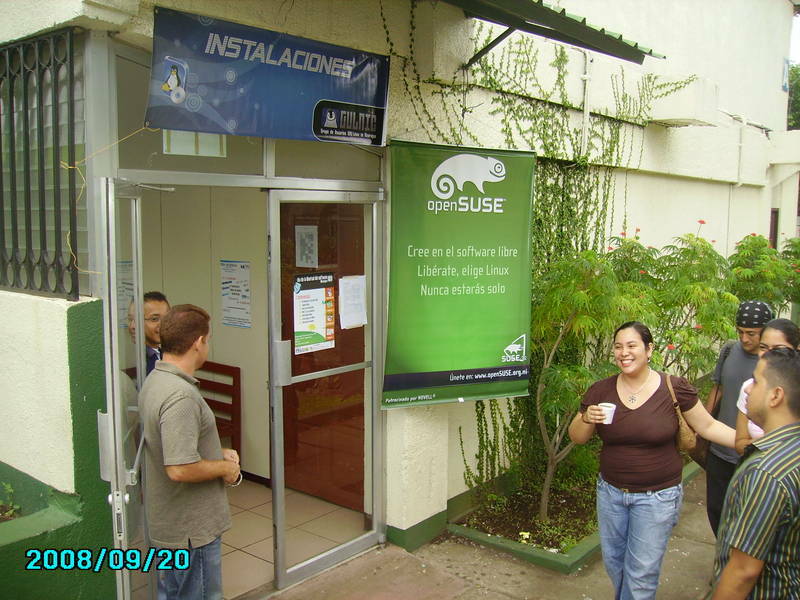 After some considerations and discussion within the Nicaraguan LUGs Community, SUSE-Ni was appointed to carry on with the FLISOL event on April 24th. 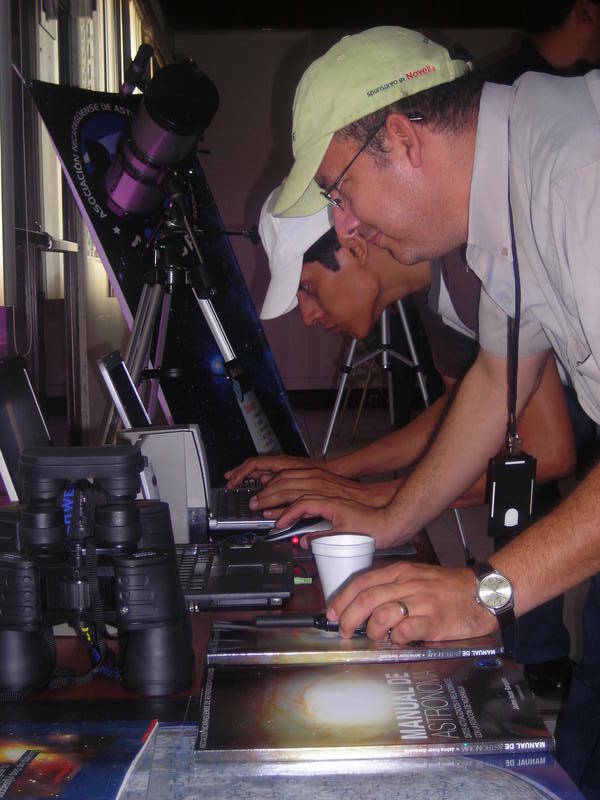 Space, the Final Frontier! 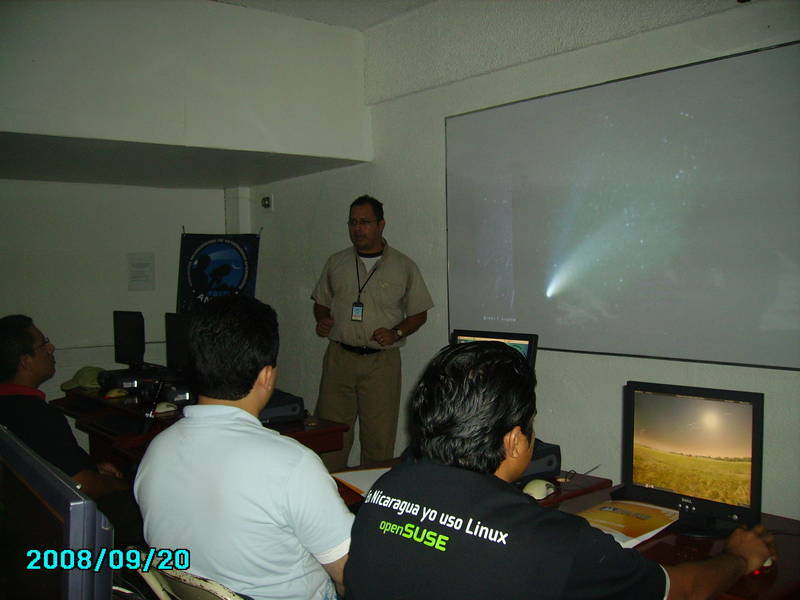 This is the tale of one Amateur Astronomer that have found in openSUSE a terrific tool for public outreach, self-learning and teaching platform. 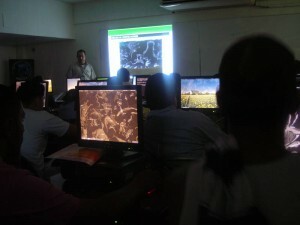 Ok, that was a bit exagerated. But the truth is that I am enjoying the new SUSE Studio suite. And that’s because it is facilitating my job as an educator. 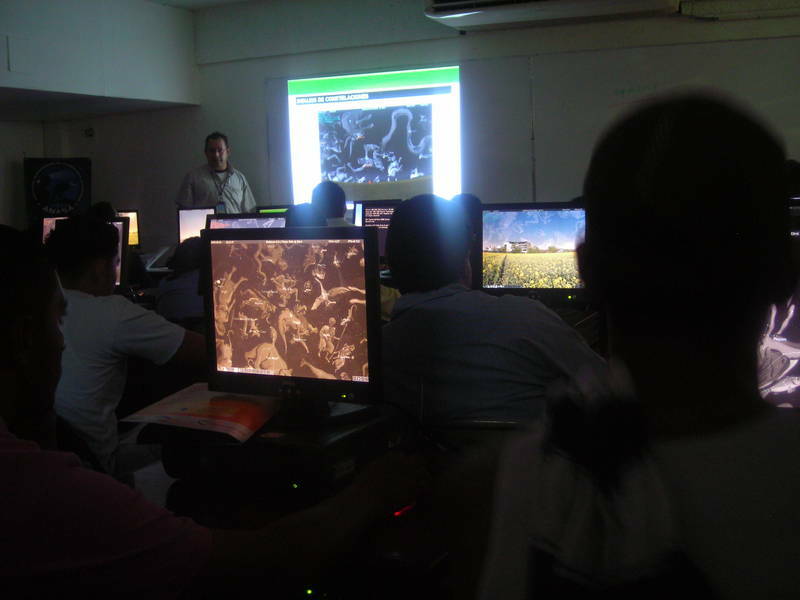 I work with the Nicaraguan Amateur Astronomers Society (ANASA) in teaching basic astronomy to the public. 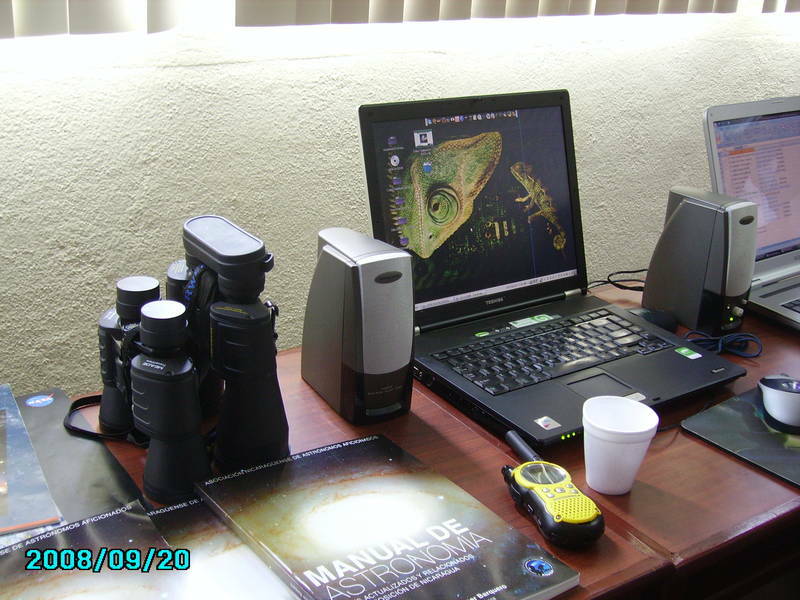 Obviously, my workhorse is an openSUSE laptop, loaded with Stellarium, Celestia, KStars and Xephem (and many other tools for my personal job as an astronomer). 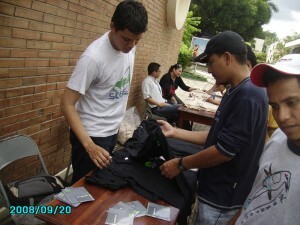 Congreso Centroamericano de Software Libre! 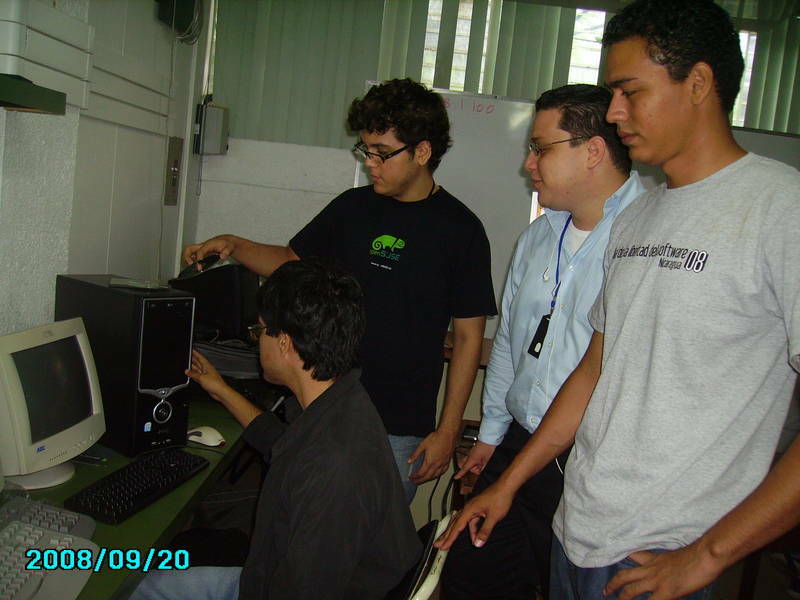 Los dias 17 al 21 de Junio del 2009 se llevara a cabo el Primer Congreso Centroamericano de Software Libre, en Nicaragua. 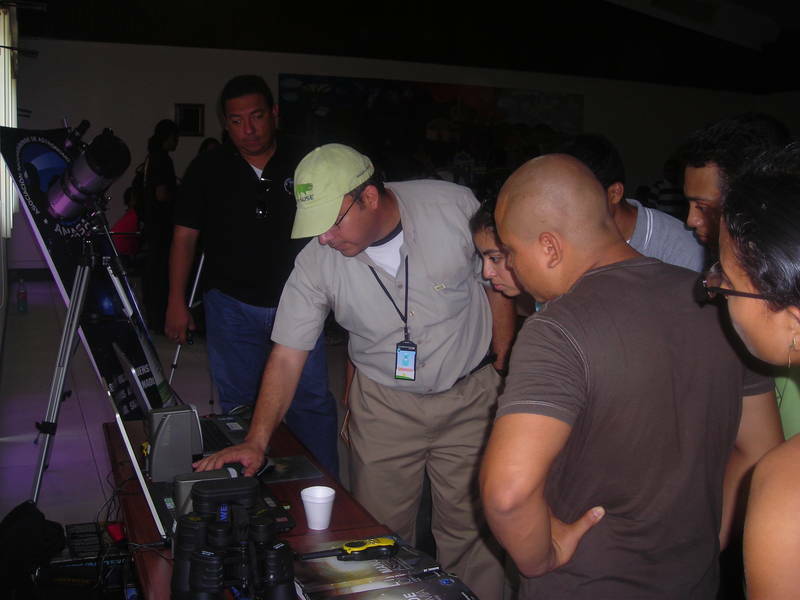 Posted in Events, Miscellaneous | Comments Off on Congreso Centroamericano de Software Libre! 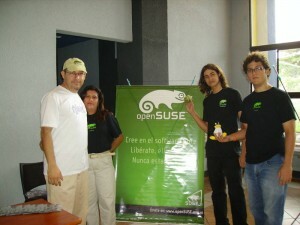 On Saturday April 25th, the Nicaraguan OpenSUSE Community joined forces with the Free Software Community (GUL-Nic) to celebrate the Latin American Free Software Installation Festival, (FLISOL in Spanish). My wife Sonia and me, plus Agustin Chavarria and another SuSE fan! The Festival took place at the Universidad Nacional de Ingenieria Campus (UNI-IES), reaching more than 300 visitors. Poor Geeko can’t stand in front of such terrible picture and seeks shelter under Tux’s right wing. 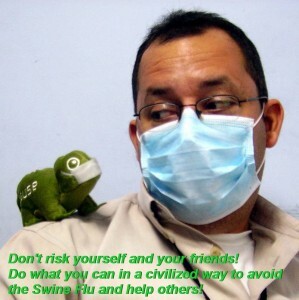 Posted in Miscellaneous | Comments Off on Geeko’s Scary Movie!